This year is all about vintage gear . 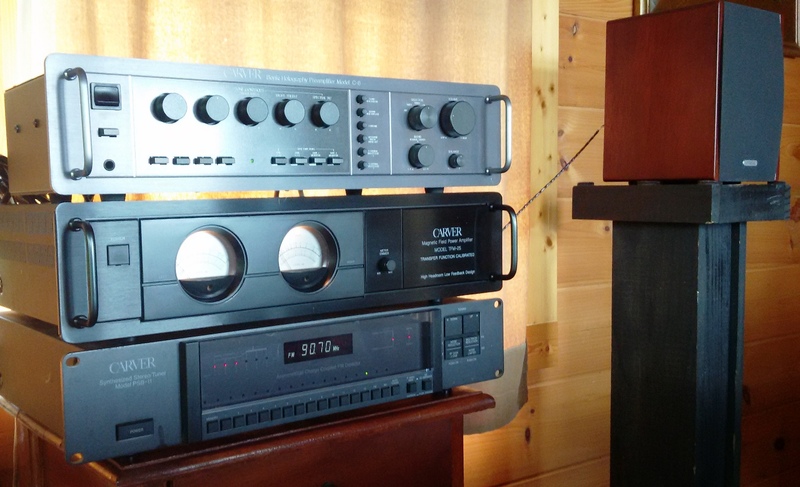 Vintage Onkyo setup with a pair of B&W 's on stands. PRETTY SWEET! cranking Neil Young after the gold rush. Excellent!!! Look forward to a listening session!!! Some more vintage eye candy. hewlew1 wrote: Some more vintage eye candy. The upstairs baby Carver system. I agree! Love those Monitor 10's with Carver gear. Wish I could be there with y'all to hear the wonderful systems. Wish you and Snoop were here also Doug! Douglas cables well represented in the Lofts!